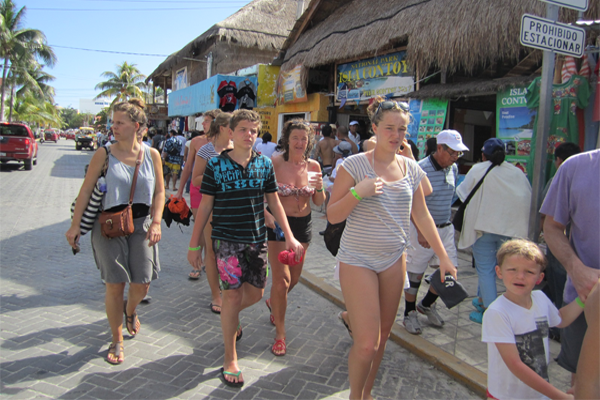 According to Canal 10, right in the middle of the holiday season, the tourist information offices in Isla Mujeres remained closed most of the time, even though their working hours are from 10 in the morning to 6 in the afternoon. Many tourists complained that when they went to the facilities, these were closed and when they were open the employees only offered them triptychs, and couldn’t provide detailed information. Some visitors tried to find the director of tourism promotion and they had to wait even longer! Around half an hour just to get someone from the Tourism office, and still this person couldn’t provide detailed information on tours and other matters. Another tourist declared to Canal 10, that she went to Tourism Promotion found office at 11:30 in the morning, it was closed, and the staff inside was eating and refused to open the door. Residents of Isla Mujeres told Canal 10 that this situation is constant.